Cannabidiol (CBD) is one of more than 60 compounds known as cannabinoids found within cannabis plants. There are many strains of cannabis, but marijuana and hemp are the two most commonly utilized by humans. Marijuana is known for its pyschoactive properties and ability to give users a “high.” Hemp, on the other hand, is most commonly used for industrial and therapeutic purposes. CBD hemp oil is derived from this safer, more medicinal strain. Most cannabis plants contain both CBD and THC (tetrahydrocannabinol), the high-inducing compound in marijuana. The difference is that while marijuana typically contains anywhere from 2.5% to ≥25% THC¹, most commercial CBD products contain less than 0.3%. THC amounts this low are merely considered trace quantities. They are entirely benign and incapable of producing a high. Despite the lack of scientific data, holistic veterinarians and cat parents are singing the praises of CBD hemp oil as a natural and effective treatment for a growing list of issues in cats. CBD oil produces therapeutic affects in the body by stimulating the endocannabinoid system to promote overall healing and wellness. It helps naturally regulate the system to maintain ideal balance and influence many internal processes related to pain, mood, sleep, and immune function. 1. For What Reasons Are Cat Owners Using CBD Hemp Oil? 2. Will CBD Oil Make My Cat High? 3. Is CBD Oil Legal? 4. What Scientific Studies Have Been Done on CBD Oil in Cats? 5. What Side Effects or Risks Are Involved with Giving CBD Oil to My Cat? 6. What Dosage of CBD Oil Should I Give My Cat? 7. How Long Before CBD Oil Starts Working for My Cat? 8. How Do I Choose a Quality CBD Oil Product for My Cat? 9. Which CBD Product Does iHeartCats.com Recommend? For What Reasons Are Cat Owners Using CBD Hemp Oil? Studies have demonstrated the anti-inflammatory properties of CBD as well as its ability to reduce anxiety and pain, lessen seizure activity, and improve overall well being. In addition to its many medicinal benefits, CBD is also quite safe for cats as long as it contains little to no THC. It may even help improve your cat’s mood, skin, coat, and energy levels. Below we will discuss some of the most common cat conditions treated with CBD oil by veterinarians and feline care givers. While there are several anti-inflammatory medications for the treatment of pain in dogs, there are only a few approved for the delicate systems of cats. This is one of the reasons veterinarians and cat parents are so enthusiastic about CBD hemp oil. 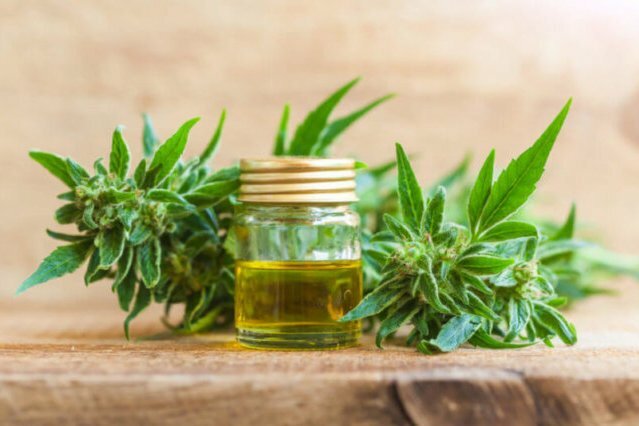 Rather than using steroids or NSAIDs that carry severe side effects, they are turning to all-natural CBD for relief of pain associated with joint pain, nerve conditions, injuries and illnesses. Joint inflammation is one of the most common causes of pain in cats. It occurs when the cartilage in a joint wears away, allowing the bones to rub together painfully. Although diagnosed more frequently in dogs, our feline friends can definitely suffer from sore, inflamed joints. Not only do cats visit the vet less often than dogs, they are also experts at hiding their pain. Our pets should never have to suffer in silence. 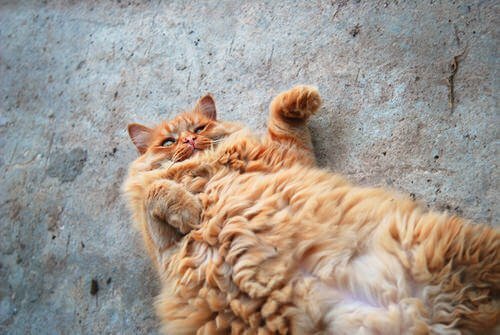 Using CBD oil in cats that are older, overweight, or have symptoms of joint pain can help reduce painful inflammation and allows them to move pain-free. Cats with epilepsy can suffer from multiple seizures a day, and according to the Epilepsy Foundation, pharmaceutical medications prove ineffective for some patients. Even cats that respond well to anti-convulsive drugs may find them too harsh to tolerate long-term. These medications have been known to cause serious side effects such as kidney or liver damage. In a 2014 study on drug-resistant epilepsy in humans, CBD oil reduced the number of seizures by at least 50% in 39% of participants.7 Since the feline endocannabinoid system is similar to that of humans and CBD acts as a neuroprotective agent, it may also aid in reducing the frequency and intensity of seizures in cats. 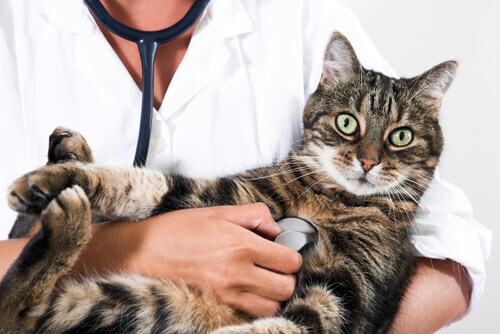 Asthma is yet another common inflammatory disease in cats. CBD may be a great option to reduce bronchial inflammation, lessening the number of asthma attacks. Asthma is a chronic inflammation of small airways in the lungs. During an asthma attack, those airways constrict and drastically reduce the amount of air that gets to the lungs.8 Asthma attacks can be minor or may become life-threatening. Many asthmatic cats are reliant on inhalers and/or nebulizers. With its inflammation-reducing properties, CBD may be a great option to help decrease the number and severity of asthma attacks a cat experiences. 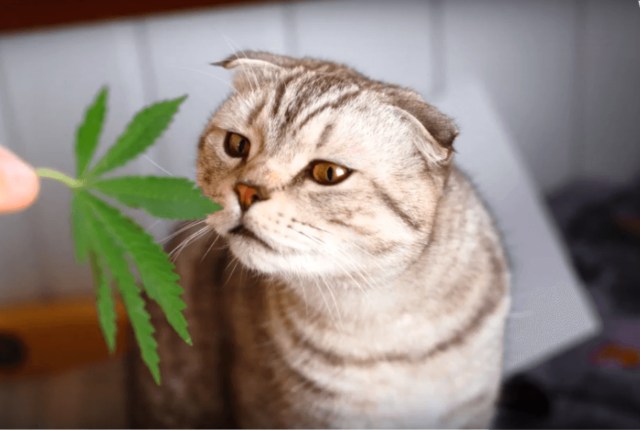 CBD may provide these poor kitties with some much-needed relief from pain and inflammation. 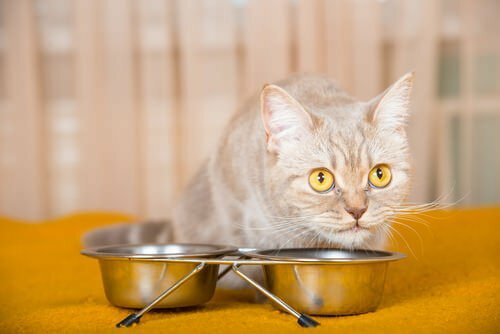 Cats are finicky eaters even when they are feeling their best, so it is no wonder they often stop eating when sick or stressed. Unfortunately, many can only go a few days without food before their liver becomes affected. 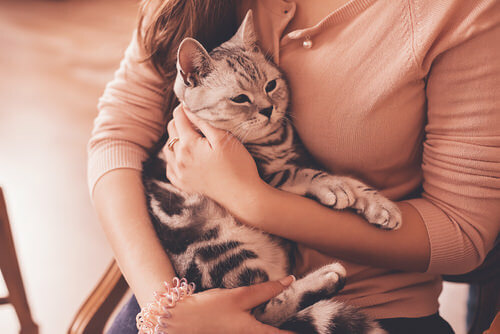 Whether battling an illness, undergoing chemotherapy or dealing with a stressful life event, it is imperative that cats take in the nutrients they need to maintain their strength. 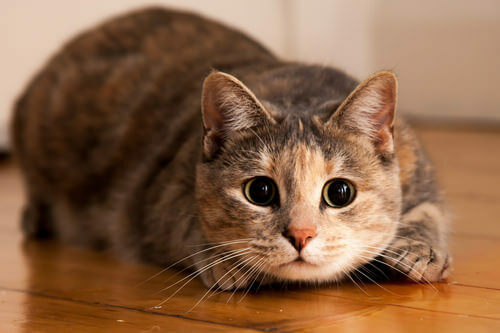 Some cats suffer from chronic anxiety while others experience it only situationally. 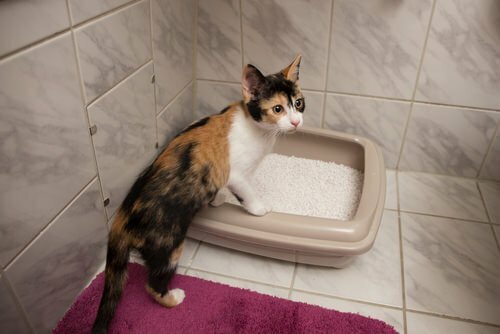 Either way, stress can cause behavioral issues like urinating or defecating outside the litterbox, aggression, or destructive scratching. Even worse, some cats become physically ill as a result of their stress, refusing to eat or experiencing vomiting or diarrhea. Will CBD Oil Make My Cat High? The short answer to this question is, no, CBD oil cannot and never will make your cat high. Only substances with a significant amount of THC can cause a psychoactive effect. Unlike marijuana, hemp contains only insignificant traces of THC. The quantity of THC varies widely in different strains of marijuana, but hemp-derived CBD oil contains less than 0.3%. Since cats are quite sensitive to THC, we recommend purchasing a CBD product where 100% of the THC has been removed. Yes, CBD oil derived from hemp is legal in all 50 states as long as it contains 0.3% THC or less. Since most CBD oil from hemp contains little to no THC, it is not regulated in the same way as marijuana. However, the complex legal staus of marijuana often leads to confusion and frustration, deterring pet owners from taking advantage of CBD oil. The important thing to remember is that as long as the CBD oil comes from hemp and contains no more than 0.3% THC, it is completely legal to purchase and possess in every US state. What Scientific Studies Have Been Done on CBD Hemp Oil in Cats? The only company to perform a long-term clinical and pharmacological study on cats, is ElleVet, who used their own hemp-based products. Otherwise, the available data primarily focuses on the toxicity of accidental cannabis ingestion in cats. Despite the lack of published date, Dr. Gary Richter notes that countless vets and cat owners have seen the benefits of CBD in pets firsthand. Related: Which brand of CBD oil is endorsed by iHeartCats.com? What Side Effects or Risks Are Involved with Giving CBD Hemp Oil to My Cat? In fact, Dr. Krause of Boulder Holistic Vet says she often sees a reduction in anxiety in her feline patients. What Dosage of CBD Oil Should I Give My Cat? It is not possible to overdose with CBD as your cat’s body will just release the excess in his or her waste. However, when first introducing CBD hemp oil to your cat, it’s best to start out slow. This will help you pinpoint the perfect dose for your individual pet without shocking the system or causing adverse reactions. The key to dosing is finding a balance where the cat reaps all the benefits without experiencing side effects. If you notice any adverse reactions after administering CBD to your cat, discontinue useage immediately and consult with your vet before continuing. You may find it necessary to increase the dosage over time to maintain the same level of benefit. Be sure to make these changes slowly and gradually to give the cat’s body time to adjust. How Long Before CBD Oil Starts Working for My Cat? When treating chronic issues, you may not see optimal results until 2 to 4 weeks of steady use. How Do I Choose a Quality CBD Oil Product for My Cat? There are several factors to consider when choosing a CBD hemp oil product for your cat. Quality tinctures should include a certificate of analysis (COA) showing the results of laboratory analysis performed on the product. Ideally, the certificate should show high amounts of CBD and very low THC, if not none at all, as in Cannanine™ Organic Full Spectrum CBD Oil from Hemp. Cannanine is non-GMO and made from human-grade ingredients including organic Colorado hemp. 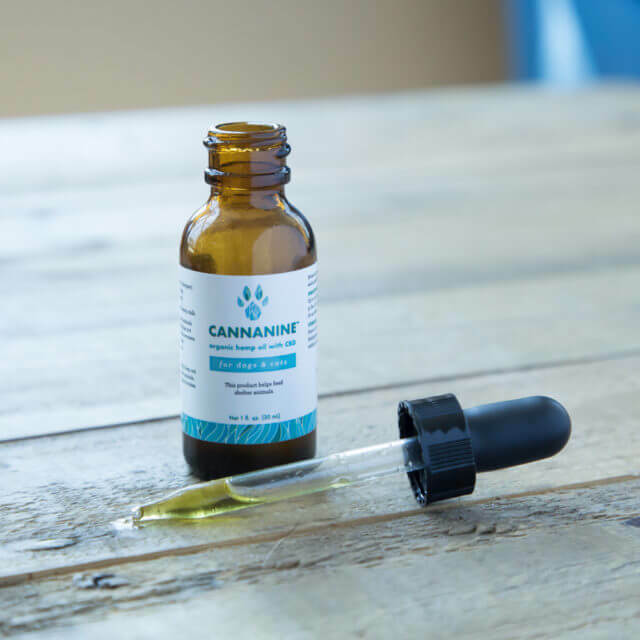 It contains absolutely no THC, so it will never give your cat an uncomfortable “high.” Laboratory test results show Cannanine is also free of heavy metals, harmful bacteria, yeast, mold, and other toxins. All Cannanine products are maximized for bioavailability and absorbability by utilizing a patented nano-sized microemulsion with particles four times smaller than liposomal emulsions. To learn more about choosing a high-quality, therapeutic CBD hemp oil product, view our Buyer’s Guide. Which CBD Product Does iHeartCats Recommend? We worked hard to create the Cannanine brand of CBD Oil. In addition to containing nano-sized emulsion (best for absorption) the formula is 100% THC free, which is relatively rare but very important for animal use. In addition, each and every purchase provides healthy meals for shelter pets through our partners at GreaterGood.org! While CBD did not completely resolve Zaphod’s night restlessness, it did allow Kane to carry him to bed with her, where he would fall asleep on her chest. Can You Give Cats CBD Oil? 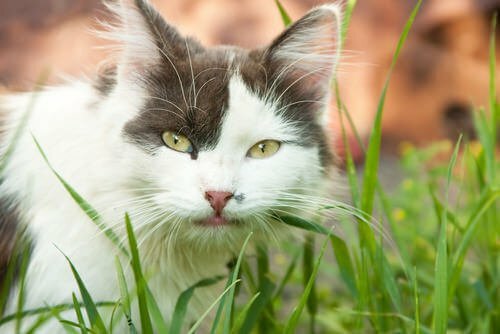 What Are The Benefits Of CBD Oil For Cats? Are There Any Side Effects of CBD Oil For Cats? How Much CBD Oil Should I Give My Cat? 5. Analgesic and antiinflammatory activity of constituents of Cannabis sativa L.